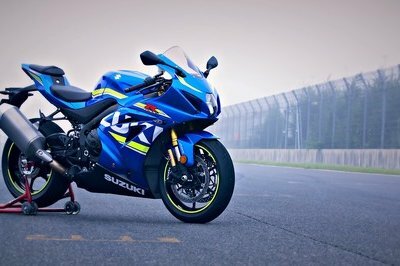 Suzuki doubles down in the worldwide race to the bottom with its newly-redesigned GSX-R125. This pocket-rocket carries the undeniable genetic markers and the typical, race-tastic visage associated with the family. Engine output falls just shy of 15 horsepower (11 kW) and displacement is just under the 125 cc mark as well, so British riders can use it on the road with just a CBT certificate. This is no accident, since indoctrination is best when started young, and only good things can come from instilling some brand loyalty right at the entry level. Sure, there are plenty of 125 cc two-wheelers out there, but many are cheap Chinese imports and the rest are scooters, so there’s definitely room in the market for a trainer bike with the name power and reputation of the Suzuki GSX-R family. 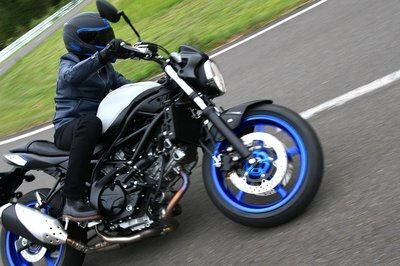 Personally, I rather like these small-displacement sportbikes. Their simplicity is refreshing, and what they lack in top-end, they make up with handling which is where the fun is, anyway. 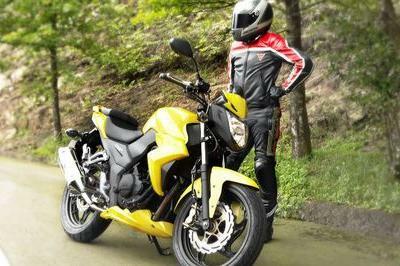 Continue reading for my review of the Suzuki GSX-R125. This is a bike that's perfect for the beginning rider who doesn't necessarily want to look like one; a stealth-trainer, if you like. Small as the plant may be, you’d never suspect it at a glance. 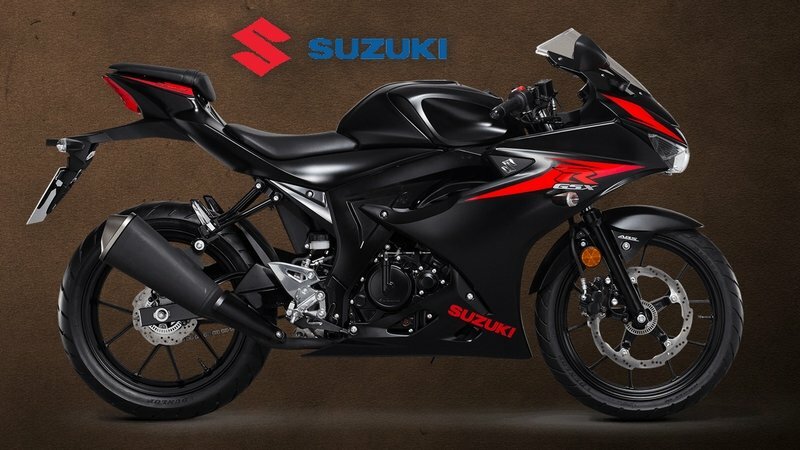 The overall length is a little more than an inch shorter than its mid-size sibling the GSX-R600, so the proportions are definitely in full-size bike territory. A clear cover over the recessed LED headlight forms the entry at the point of the windtunnel-tested fairing that opens up to form the typical scoop shape with the cowling halves. Up top a clear windscreen presents a minimal profile to the wind for low resistance, and while it doesn’t do much for an upright rider, once you’re tucked in you’ll find that the pocket it creates is sufficient. Clip-on bars pull the rider forward into the classic racing posture with jockey-mount footpegs that keep the feet clear even in knee-dragging turns. A split sport seat supports pilot and pillion, though the latter is definitely of the low-profile variety and is more for looks than any kind of passenger comfort. The tucked-under taillight forms the terminus of the subframe, but then the factory follows up with a hideous freakin’ mudguard for the rear fender and turn-signal/tag-mount assembly. Oh well, it’s nothing a turn-signal relocation kit and tail-tidy won’t fix. Nose down and tail up, the R125 exudes the same race-tastic curb appeal as its big brothers; especially the “GP” version that sports Suzuki’s Metallic Triton Blue livery. Folks, this here is a bike that’s perfect for the beginning rider who doesn’t necessarily want to look like one; a stealth-trainer, if you like. The GSX-R125 brings the handling from its big brothers down to the entry-level price- and power-bracket. Overall, the factory kept to the essentials and left almost all of the fandanglery on the shelf. 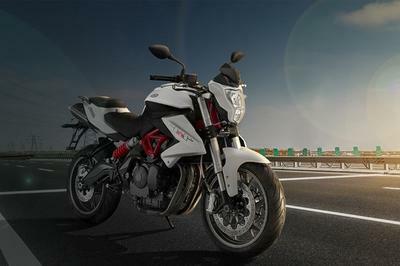 I say “almost” because the R125 sports the Bosch ABS 10 base unit that provides some traction security. I’m on the fence about ABS; I don’t like crutches, and I feel that having the pure feedback is good for the development of a well-rounded skillset, but at the same time recognize that ABS is nearly ubiquitous at this point and that I should probably accept it as the new norm. At the end of the day, it doesn’t matter what I think, the R125 uses it to help keep the riders alive long enough to upgrade, hopefully to another Suzuki, right guys? Frame layout is typical for the family with an upswept subframe and narrow waist that sort of puts the rider in the bike rather than just perched on top. Non-adjustable, right-way-up front forks clamp the 17-inch front rim with a symmetrical, yoke-style swingarm and link-type monoshock to tame the same size hoop out back. 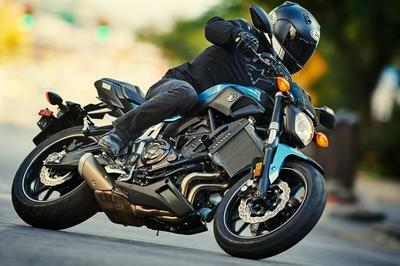 Although the bones lack many of the refinements enjoyed by many of the larger (read: more expensive) bikes, it comes with oodles of sport-tastic handling. 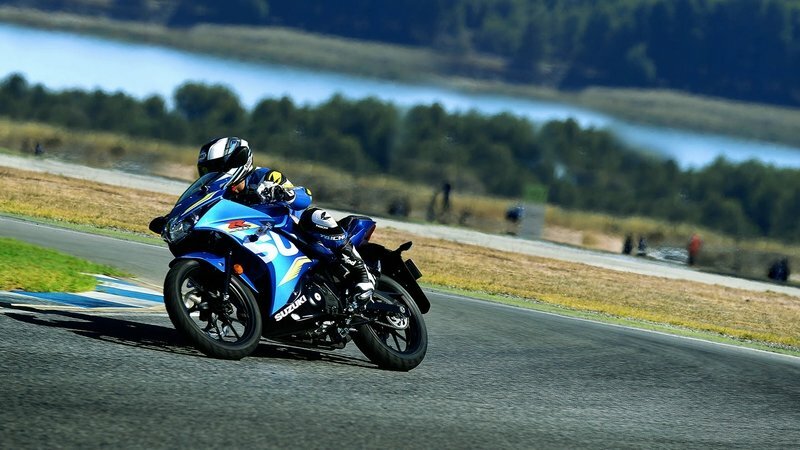 Unless you’re a drag racer or stoplight burner, most of the joy of riding comes from attacking the turns that give us that sensation of flight, and the GSX-R125 brings the handling from its big brothers down to the entry-level price- and power-bracket. Quick and agile makes for fun riding folks, even if the 75 mph top speed makes interstate riding a little frenetic and worrisome. Suzuki powered the R125 with an all-new, specially-designed engine. A water-cooled, four-stroke plant, it runs an oversquare layout with a 62 mm bore and 41.2 mm stroke for a total displacement of 124.4 cc. Compression falls out in the warmish range at 11-to-1, so count on buying premium fuel. A 32 mm throttle body and electronic fuel injection manage the induction with direct rider control and no fandangled traction control or rider modes to drive up price, weight and complexity. 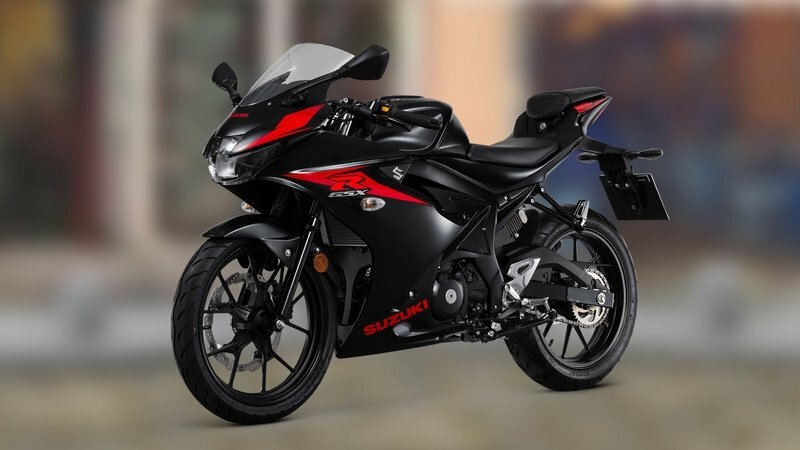 It isn’t completely without bells-and-whistles though; the R125 sports Suzuki’s Easy-Start System that provides one-touch starts and a keyless ignition system that allows you to start the bike with the key and fob in your pocket — security and convenience. The 125 cranks out a total of 8.48 pound-feet at 8,000 rpm backed up by 14.8 horsepower at 10 grand. While this doesn’t look very impressive on paper, it’s worth pointing out that at 295-pounds wet, those power figures give the R125 the best horsepower- and torque-to-weight ratios in the class. Quick and agile makes for fun riding folks, even if the 75 mph top speed makes interstate riding a little frenetic and worrisome. Sure, it’s got a six-speed gearbox, but it only has so much grunt to work with and comes geared more for acceleration and less for top end. Oh, did I mention the mileage yet? Seriously, we see 125 cc mills all over the scooter sector, and we’re used to seeing mileage around 90- to 100-MPG, but Suzuki’s littlest Gixxer that could scores a whopping 122.82 mpg. Yeah, it’s the bike you can ride around the world on three tablespoons of gas. An affordable price for what could be an economical commuter or just a balls-to-the-walls fun bike. Suzuki’s launch price will see the GSX-R125 roll for £3,999, and the race-tastic GP will set you back another bill at £4,099. I don't get the impression of a “small bike” from a glance, and both could blend right into a pack of half- and full-liter bikes. With a marque like Suzuki and a family name like Gixxer, I knew I had to go to one of the Big-Four or one of the fancier European manufacturers to find a worthy opponent. Luckily I had to look no further than the Red Riders to find such a foe in the CBR125R. Much like the GSX-R125, Honda’s supersport trainer carries the genetic markers of its full-size siblings, and comes off looking like a slightly tamer version of those larger displacements. 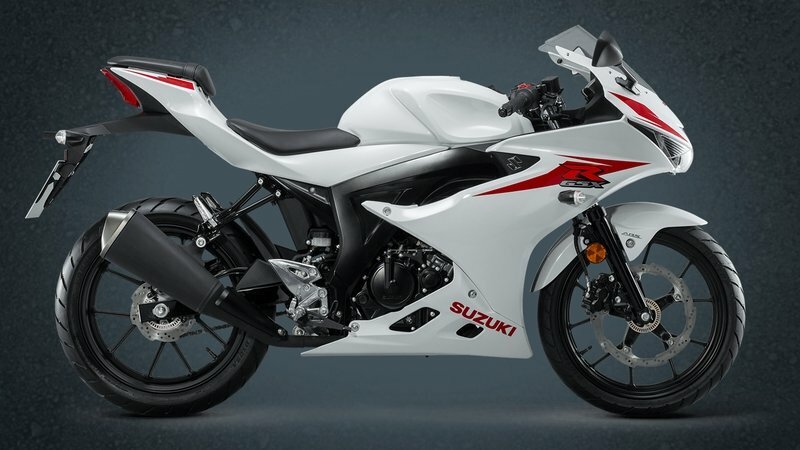 Also like the Gixxer, I don’t get the impression of a “small bike” from a glance, and both could blend right into a pack of half- and full-liter bikes. Honda falls behind a bit in the rolling chassis with the same vanilla suspension front and rear, but no ABS at all. 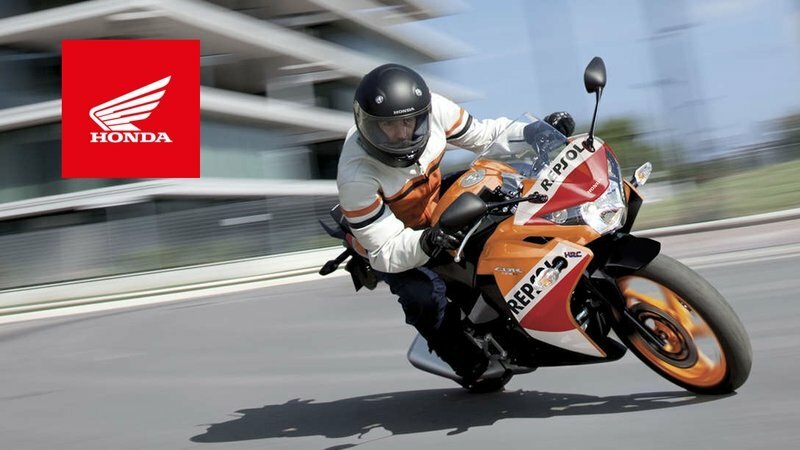 Like Suzuki, Honda built the CBR for handling and acceleration, so it enjoys the same sporty demeanor and exciting cornering ability. Unlike Suzuki, Honda’s ride is actually better suited for interstate work since it enjoys an 87 mph top speed that is surely less frantic at legal highway speeds than the 75-mphGixxer even if the Honda leaves a few ponies and pounds o’ twist on the table. To compound Suzuki’s woes, Honda turns loose of the CBR125R for £3,799, a couple of bills less than the poorer-performing GSX-R125. Not a big difference, and not enough to matter all by itself. While the Honda will be better if you plan on using it for an interstate commute, Suzuki wins in the sportier riding category. "If you buy one of these little babies, be sure to make a note of your bike’s passcode so you won’t be stranded if you lose the keyless fob. As far as the bike goes, you get a pretty good bang for your buck. It’s snappy and very unintimidating. I can see this being an awesome first bike or a commuter as well as a fun bike to ride, ’cause it’s a whole lot more fun to ride a slow bike fast than it is to ride a fast bike slow." 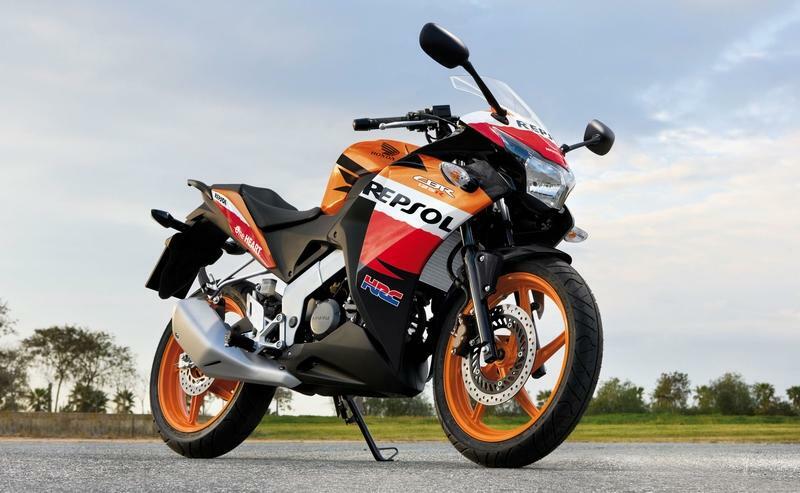 See our review of the Honda CBR125R. See more on the Suzuki GSX-R family.